All events this semester were organized by graduate student coordinators Karen Lee and Katie Rogers with faculty advisement from Prof. Gloria González-López and Prof. Sharmila Rudrappa. 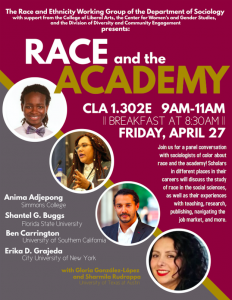 Congratulations to Dominique Scott, winner of R&E’s Thinking Race Award for her presentation “The Tipping Game: Black Food Servers, Performance, and Emotional Labor”! 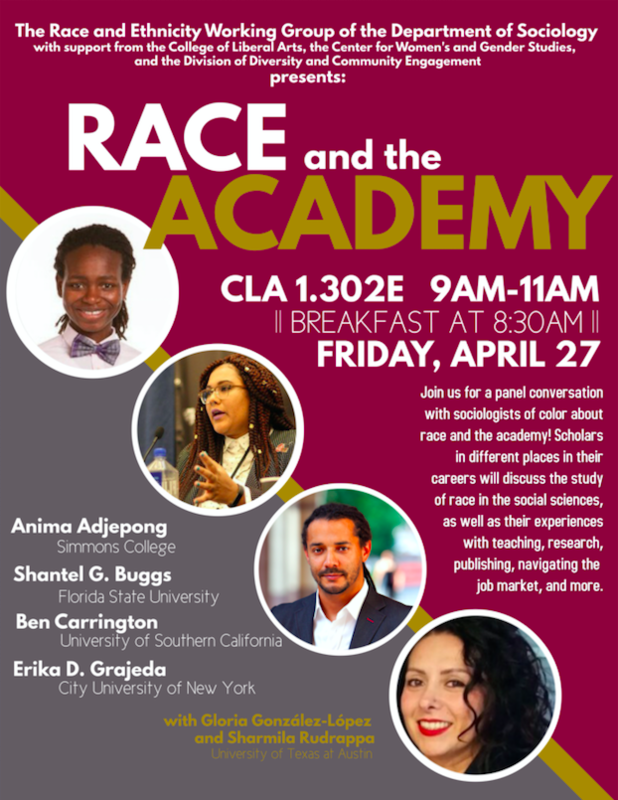 Thinking Race is a collaborative event for R&E members to present their work and get feedback. Each participant has five minutes to present on new research ideas or emerging knowledge from a current project. R&E members vote to choose one presentation to receive a $150 research award. Thanks to all participants, speakers, and attendees for a wonderful semester. 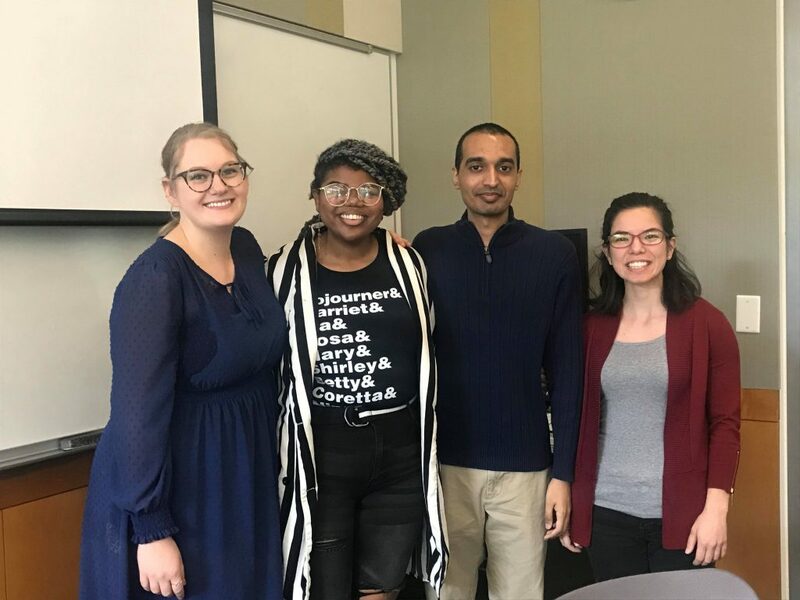 All events this semester were organized by graduate student coordinators Karen Lee, Vrinda Marwah, Beth Prosnitz, and Katie Rogers with faculty advisement from Prof. Gloria González-López and Prof. Sharmila Rudrappa. Thanks to all panelists, discussants, speakers, and attendees for a generative and fascinating semester. We greatly appreciate your participation. Please email Shantel Buggs for the readings for this meeting. We hope everyone had a relaxing and productive winter break. We have a really exciting schedule ahead of us this spring, so please mark the following dates in your calendars. More details and readings to follow soon!